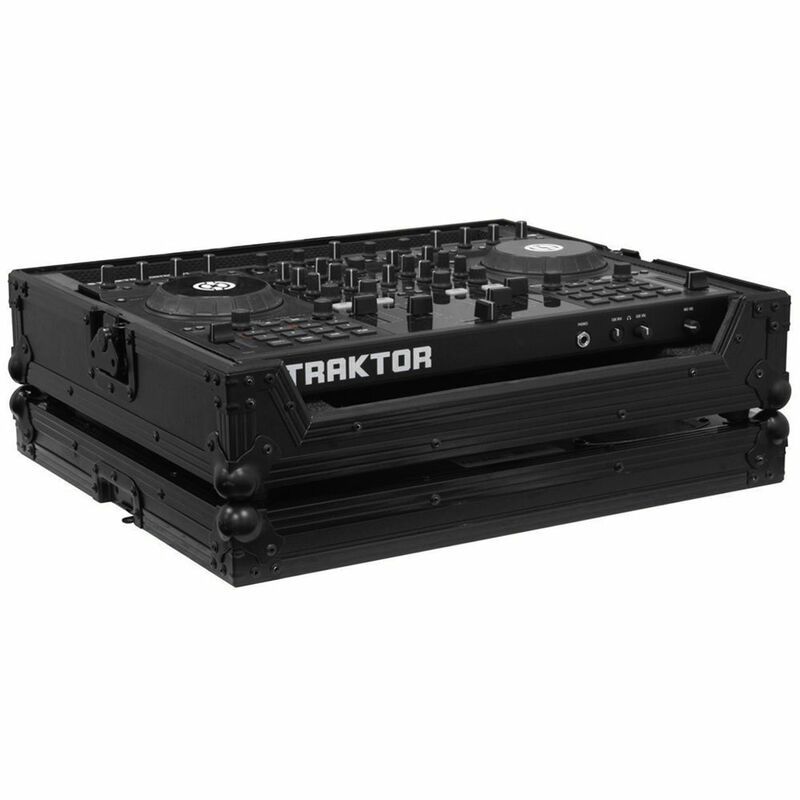 The black FRTS4BL Traktor Kontrol S4 DJ MIDI Controller Flight Ready Series Black Label Case from Odyssey Innovative Designs is an ATA 300 rated case for a Traktor Kontrol S4 DJ MIDI controller. The case is made from ABS laminated 1/4" plywood with a foam lined interior. There is a removable lid, rear cable access porthole and recessed butterfly latches. The case has stackable medium-duty corners, aluminum edging and rubber feet to prevent skidding. It is carried by a recessed, spring-loaded, chrome-plated handle. There is lots of space below and behind the controller for cable management. Box Dimensions (LxWxH) 23.0 x 20.0 x 8.0"
Would the Traktor S8 work with this case? And would I be able to place my laptop up on it so I can use it as a stand? The Tracktor S8 is not compatible with this case. There is also no laptop attachment. There are several cases that are designed for the S8, with and without laptop shelf/attachment.